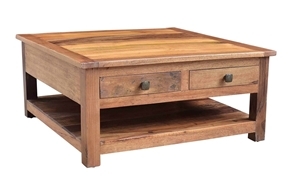 Unique handcrafted cocktail table with two storage drawers and open shelf, made in India from reclaimed teak and solid wood. 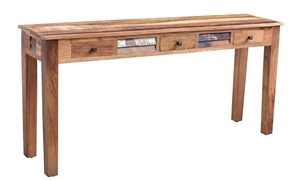 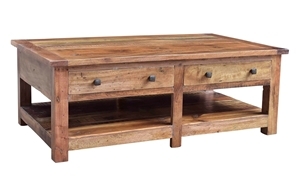 Solid wood cocktail table made from reclaimed teak from historic buildings in India, one-of-a-kind weathered detail with a softly distressed, hand finished protective sealant. 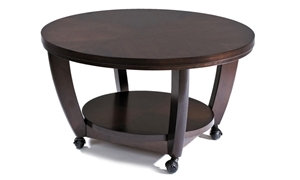 38-inch round contemporary cocktail table in a warm, walnut finish with bowed legs, lower storage shelf and casters for mobility. 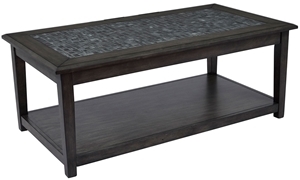 Traditional coffee table in a modern grey finish features a mosaic inlay, lower storage shelf and hidden casters for easy mobility. 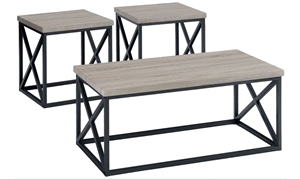 Contemporary cocktail table accompanied by two end tables with matching geometric tubular steel bases and techmetric ash veneer tops. 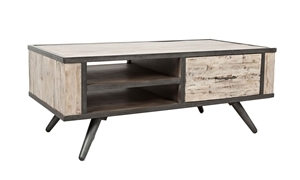 Cocktail table with a weathered grey wash finish features steel accents and flared legs as well as two shelves and a storage drawer. 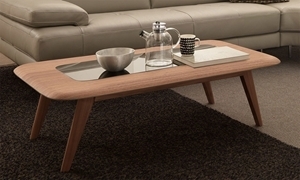 Modern wooden cocktail table features a tempered glass inset and rounded edges, as well as splayed tapered legs. 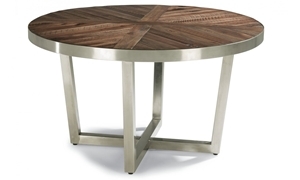 36-inch round cocktail table with plated steel base features a solid acacia plank top in a parquet pattern. 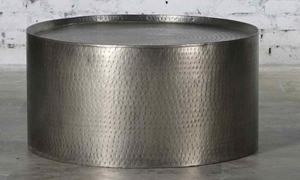 Handmade 36-inch round cocktail table crafted from hammered iron with a nickel finish. 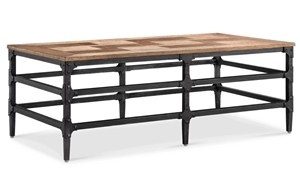 Cocktail table featuring a stretchered metal base with industrial rivets and a contrasting parquet pattern wood top.